"A surveillance state reaches new heights." 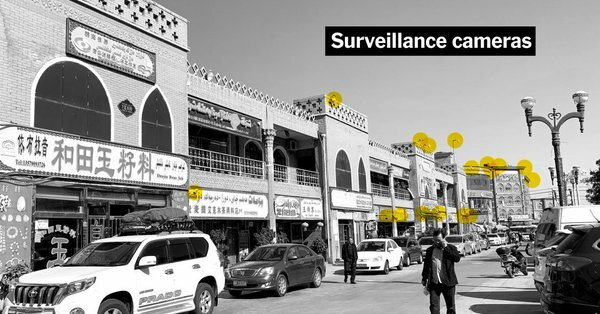 "The police sometimes take Uighurs' phones and check to make sure they have installed compulsory software that monitors calls and messages." Meanwhile, back in the US. ‘Avengers: Endgame’ Will Break Box-Office Records, and That’s Bad for Business - Not for Disney, of course. But exhibition faces a filmgoing monoculture and a studio that has all the Infinity Stones. New Streaming Services - Brian Agler humorously imagines new video-streaming services and their esoteric content niches. BYOSpoilers: It’s The Endgame Of The World As We Know It - SPOILER: It’s all about the love for sliding glass doors. 'Gilmore Girls' Season 4, Episode 11: In the Clamor and the Clangor - Stan dies, Rory and Lorelai wear terrible hats to his funeral, and Stars Hollow is once again plagued by the irritating sound of church bells. The Film Doctor blog by the film doctor is licensed under a Creative Commons Attribution-Noncommercial-No Derivative Works 3.0 United States License.